Its day 7 of the 2013 Brock Yates One Lap of America. Two events today at Pitt Race then headed back to Tire Rack in South Bend Indiana for the last event tomorrow, the dry skidpad. One other note. The Speedconcepts Mercedes SLS is out. Sad to say that the speedconcepts Mercedes sls is out of the 2013 one lap of America. We had a off at vir and the car can not be repaired on the road. We are on are way back to Milwaukee to get the truck and trailer and then back to vir to get the car. 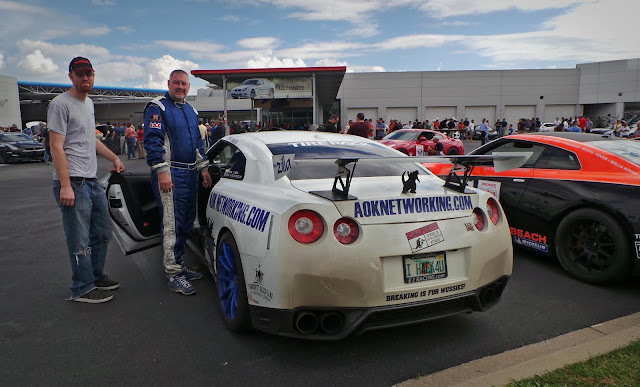 After #1 at Pittsburgh International Race Complex, Leh Keen and the Top Speed GT-R leads with the Sleeper Racing Team 2013 Nissan GT-R in second place. It was a little wet in the morning, so that threw a little extra hazard into the mix. With one event down today, and two events left, just 10 points separate the #2 Dodge Viper and the #3 GT-R. Overall GT-R's at 1,3,4,5,6, and 9. Not too bad. 6 entered, 6 in the top 10 overall. Overall Results after 7 days. Just one event left, the dry skidpad. #2 and #3 place are separated by only 5 points. That is one position. 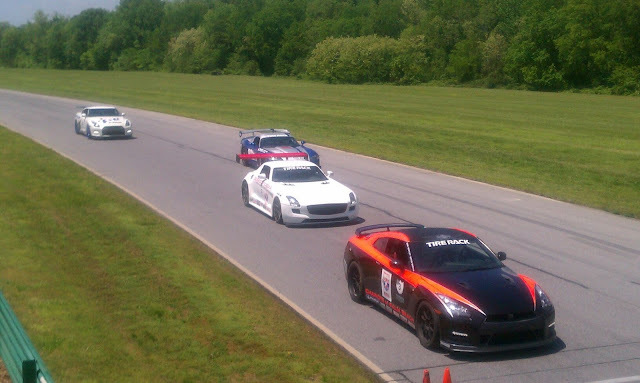 If the #3 GT-R finishes 2 spots in front of the #2 car in the skidpad, they get 2nd overall. If they finish one spot its a tie. GT-R's at #1,3,4,5,6,and 9 out of the top 10.